Viking Helmet, Gjermundbu, battle-ready The Gjermundbu-helmet is part of a big grave fund in Norway in times of the Vendel-era (550-793 AD). Parts of an aventail are viewable at the original. 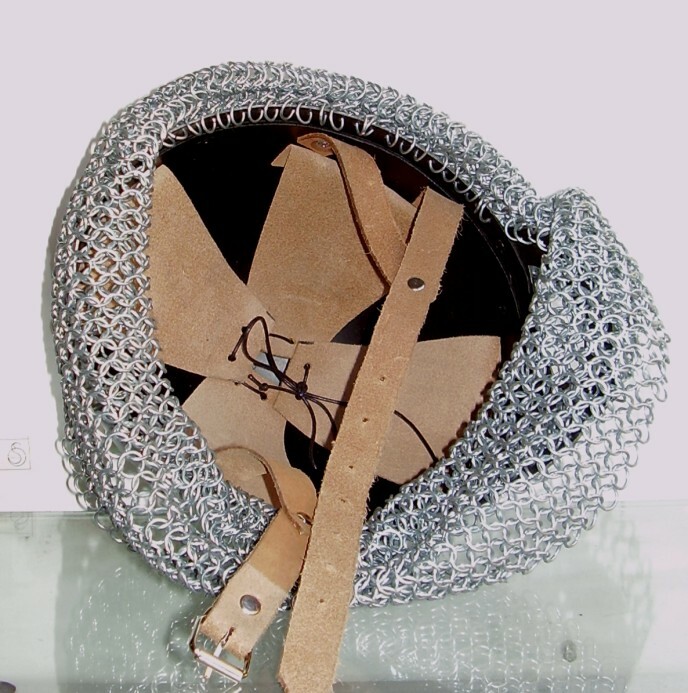 The Viking Helmet has a butted chainmail avantail integral, It protects the entire head and neck and comes with a high quality, adjustable leather liner. The two chin straps are made of cow hide and have a brass buckle. Available in four sizes (small, medium, large and X larg. 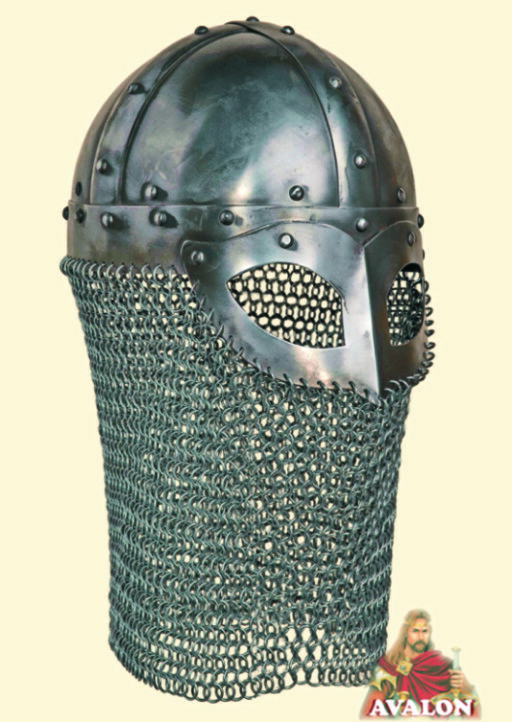 The Gjermundbu-Helmet has been discovered in 1943 during excavations of a Viking buriel mound. This replica has been made from Thickness of the steel to choose: 1mm - 2mm -(16 ga -14 ga). strong steel. High-class adjustable leather liner with chin-straps is included.